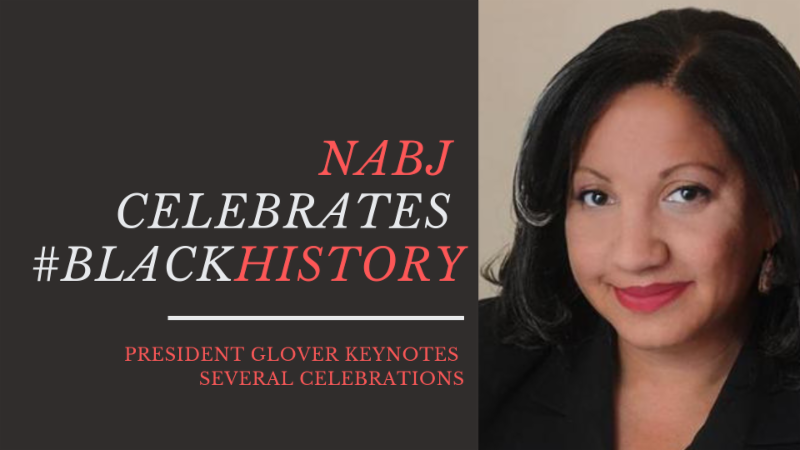 NABJ President Sarah Glover will keynote several events in February in celebration of Black History Month. On Feb. 21, she will speak at the Defense Media Activity's Black History Month program at Fort Meade in Maryland. She will discuss "Black Migrations," emphasizing the movement of people of African descent to new destinations and subsequently to new social realities. Her address will include how the media plays a role in shaping the moving narratives of black people. The talk will be broadcast and shown abroad as well. On Feb. 25, she will speak at Syracuse University and discuss how social media, storytelling and digital journalism propel and dominate the news cycle, and what skills newsrooms are looking for in the next crop of emerging journalists.